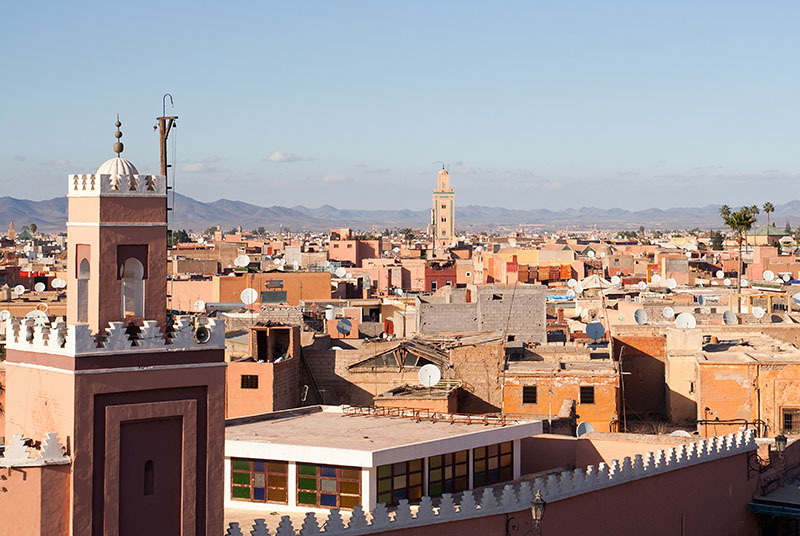 This holiday package combines a visit to the spectacular High Atlas Mountains of Morocco with a stay in the exotic city of Marrakech, the fabled red city, which has been a magnet for travellers for centuries. This two-centre holiday has been designed to allow you the maximum amount of flexibility and gives you the opportunity to book locally the excursions and activities of your choice—how much or how little you do is entirely up to you! 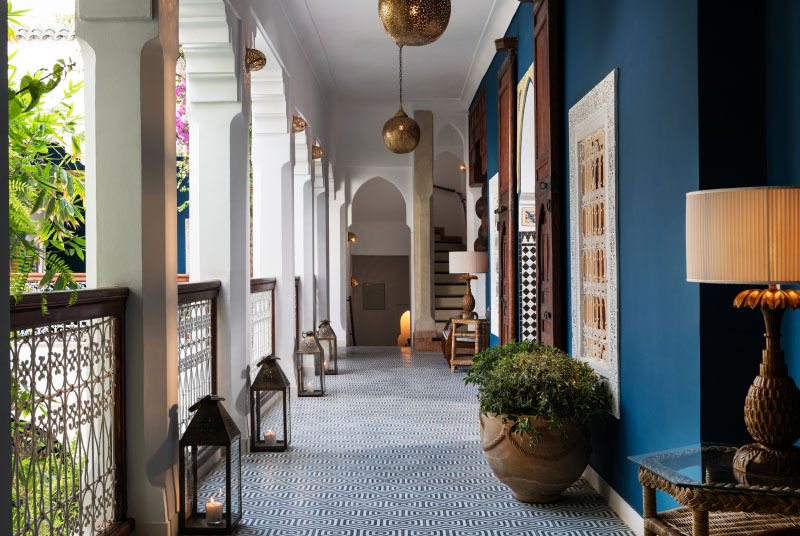 Our flexible package allows you to purchase in advance the key elements, namely comfortable accommodation on a half board basis at the Kasbah, B&B in Marrakech, and private transfers between centres and the airport, so all you need to do is book your holiday with us and book your flights! 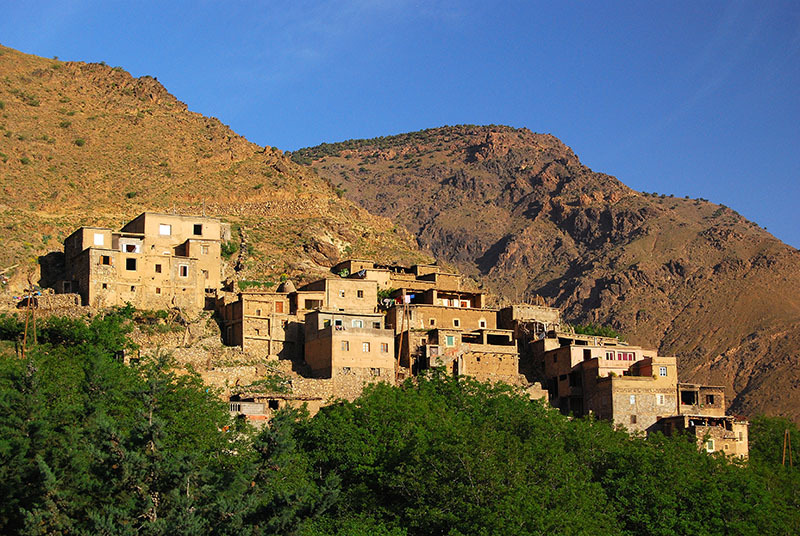 Private transfer from Marrakech Menara Airport to Kasbah du Toubkal in Imlil (approximately 90 minutes) where you will be met by a member of our staff who will ensure your luggage is loaded onto a mule and you will be guided on a short 15-minute mule ride or walk up to the Kasbah. Depending on your arrival time, there will be the option of a complimentary introductory walk in the area. Dinner (first meal provided in this package) and accommodation at the Kasbah. 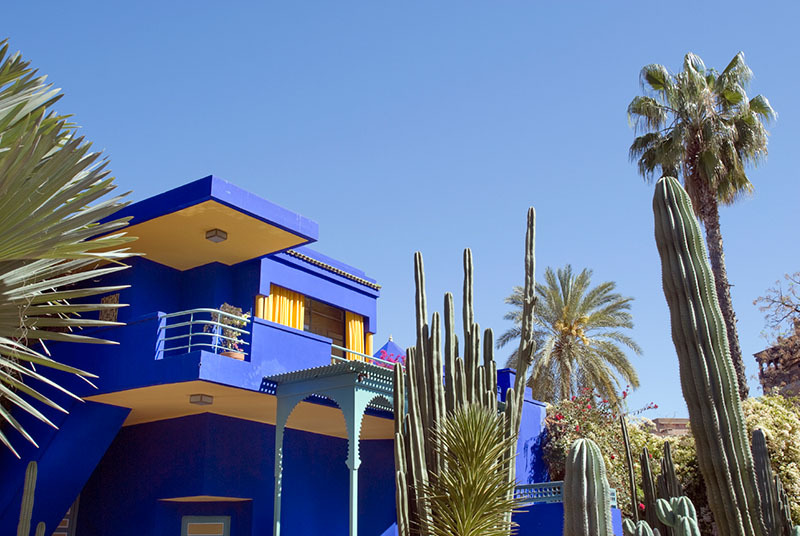 These are days to relax at the Kasbah. 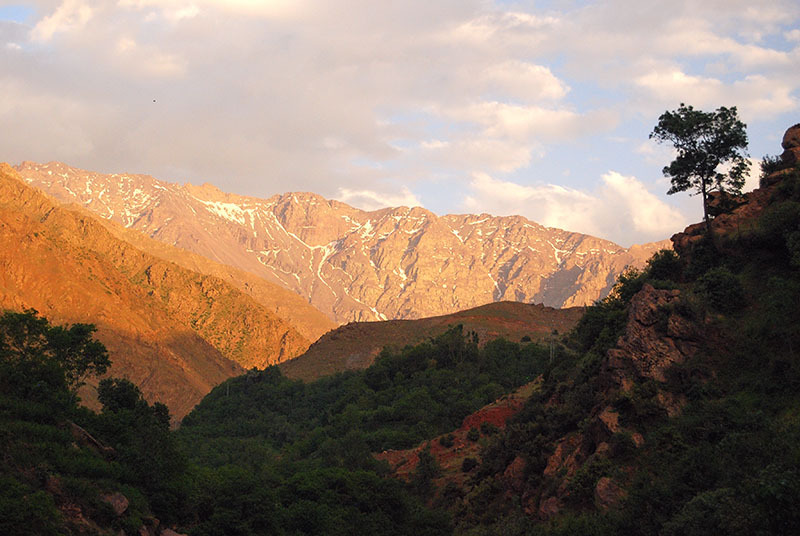 Enjoy free time in the Imlil area, explore the local valley, or relax in our hammam (steam bath)—the choice is yours. 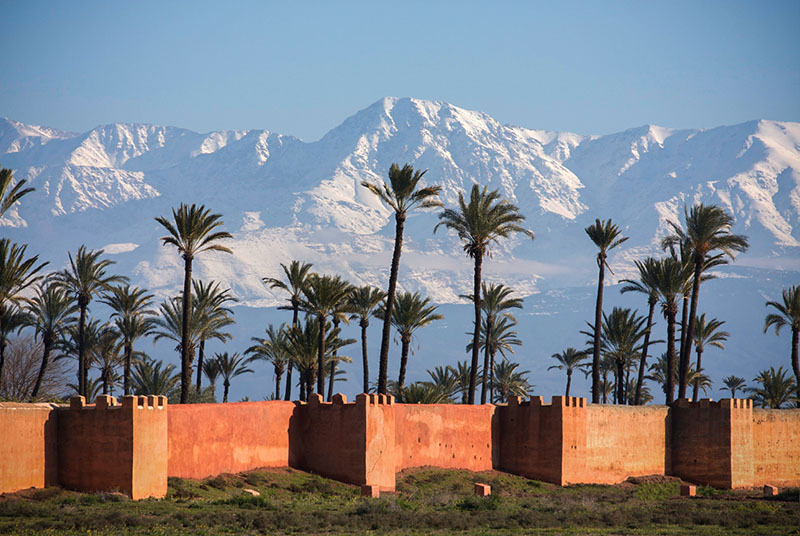 Guided treks can be arranged and paid for directly at the Kasbah as required. 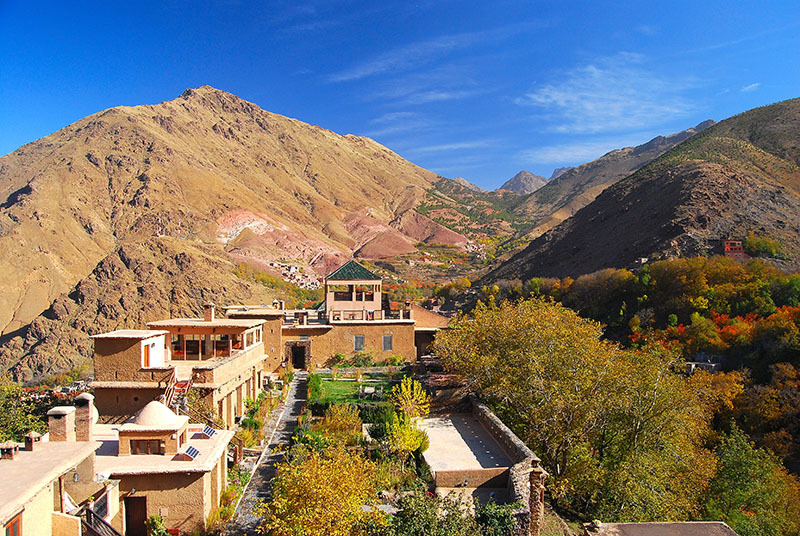 Dinner and accommodation at the Kasbah. 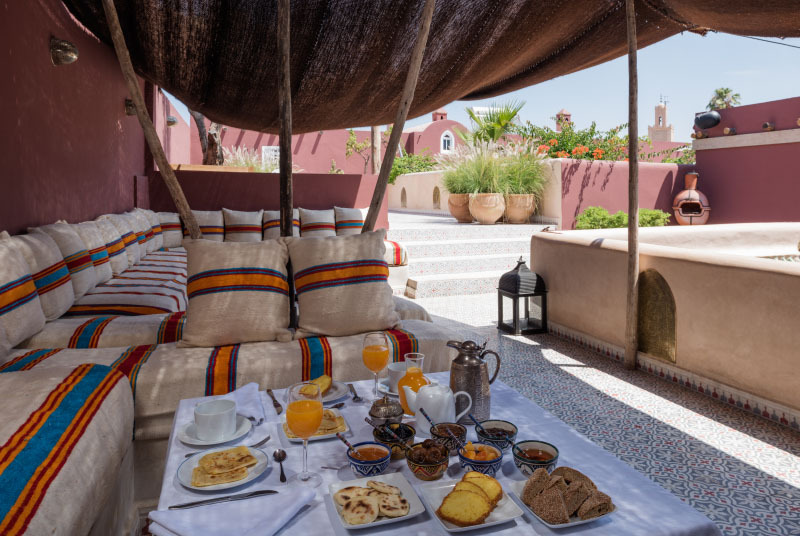 After breakfast, depart Imlil and return by private transfer to Marrakech where you will check in at Riad Les Yeux Bleus on a B&B basis, giving you the opportunity to dine at some of the superb restaurants that Marrakech offers. 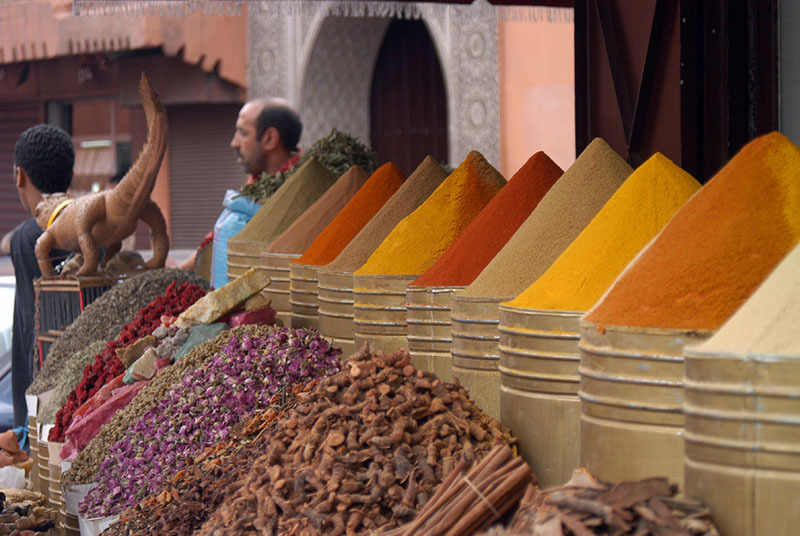 After breakfast the day is free for you to explore the fascinating and vibrant city of Marrakech. 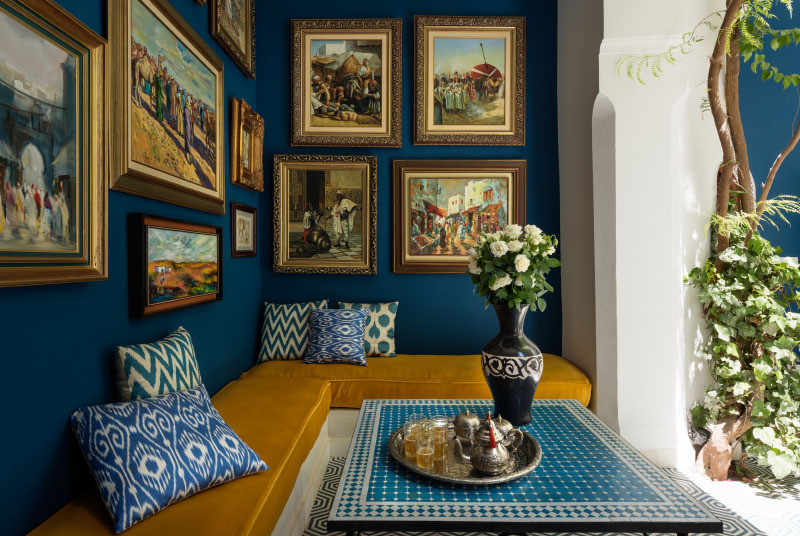 Accommodation at Riad Les Yeux Bleus. 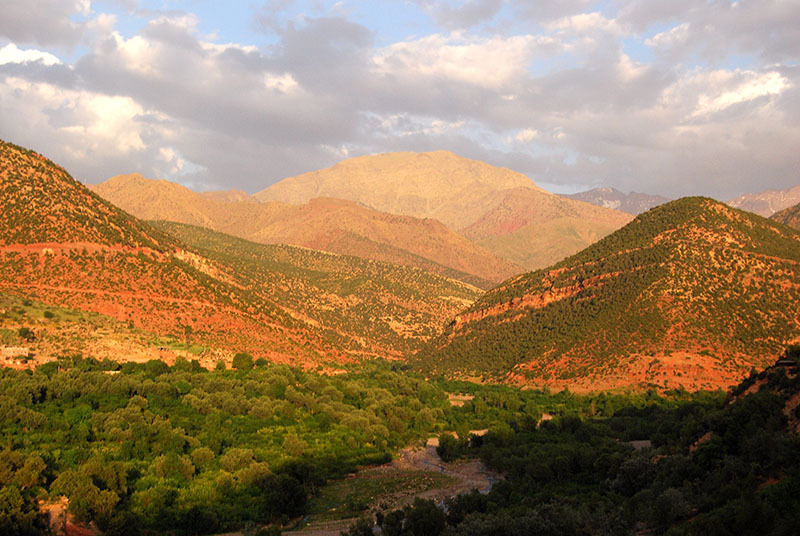 Private transfer from Marrakech to Imlil and return journey to the riad in Marrakech. 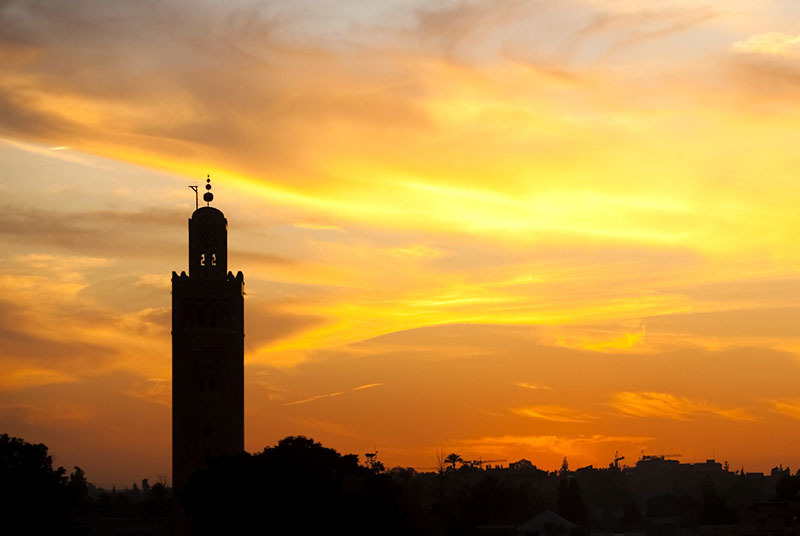 Private transfer to Marrakech Menara Airport for your departure. 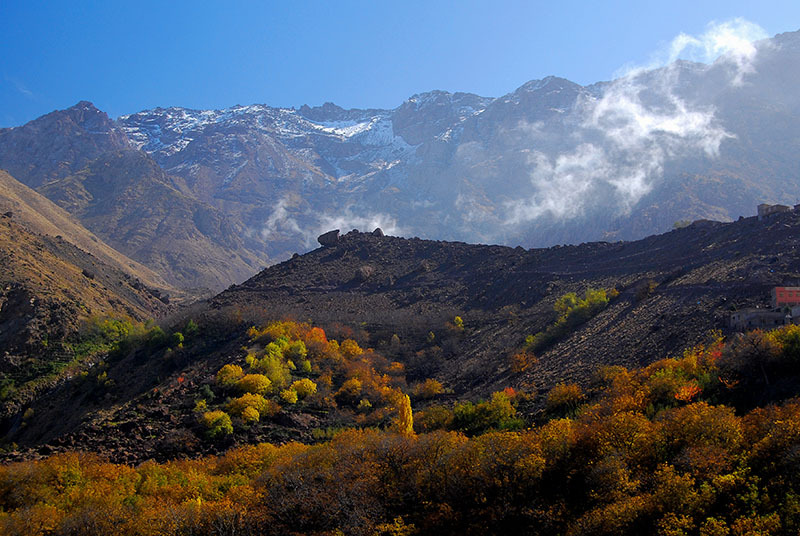 Food and soft drinks on a half board basis during your stay at Kasbah du Toubkal and on a B&B basis during your stay in Marrakech. 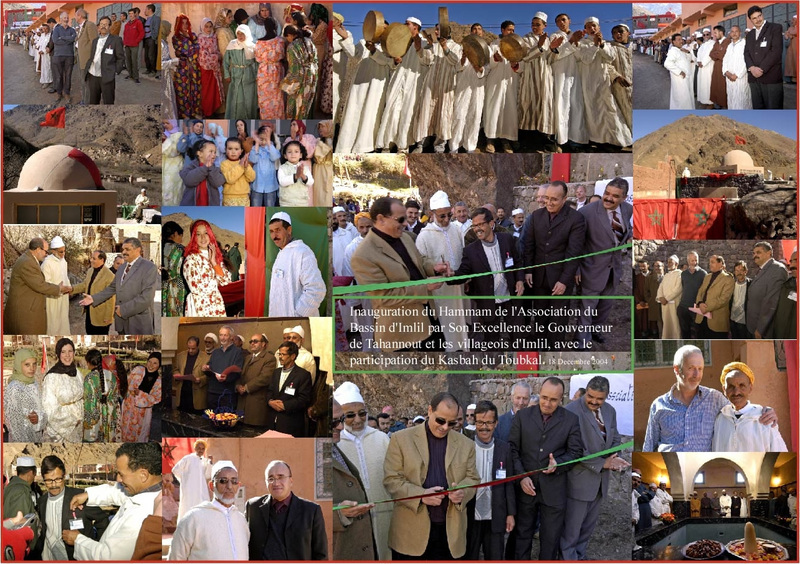 Note that the Kasbah is not licensed to sell alcohol, so feel free to bring your own alcoholic drinks if you wish. 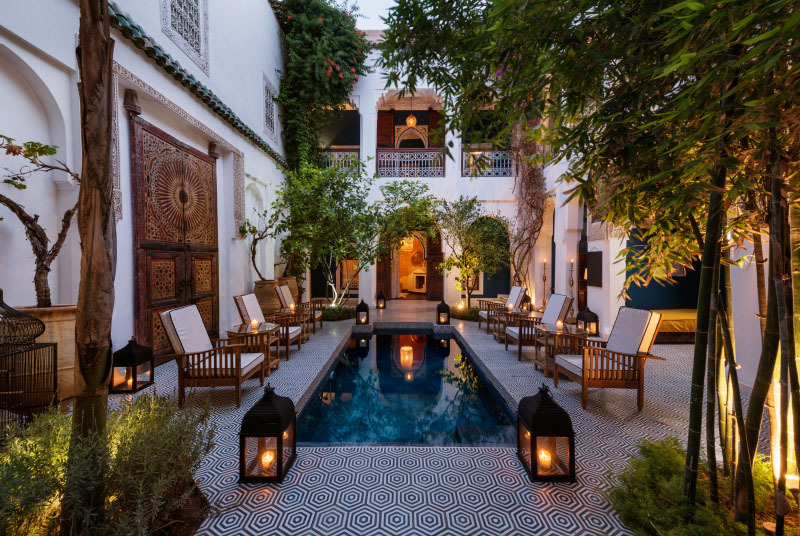 The riad in Marrakech is licensed to sell alcohol and all drinks including soft drinks will be charged extra. The use of a private hammam at the Kasbah. All taxes include a 5% levy to the Village Association. 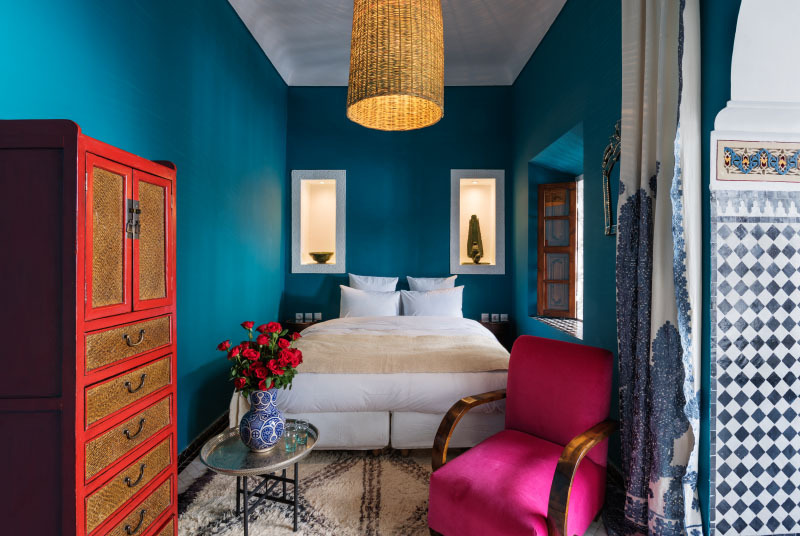 PLEASE NOTE: Rooms at the Kasbah are based on our Standard Ensuite Room, however our Superior and Deluxe rooms are available on request at extra cost.